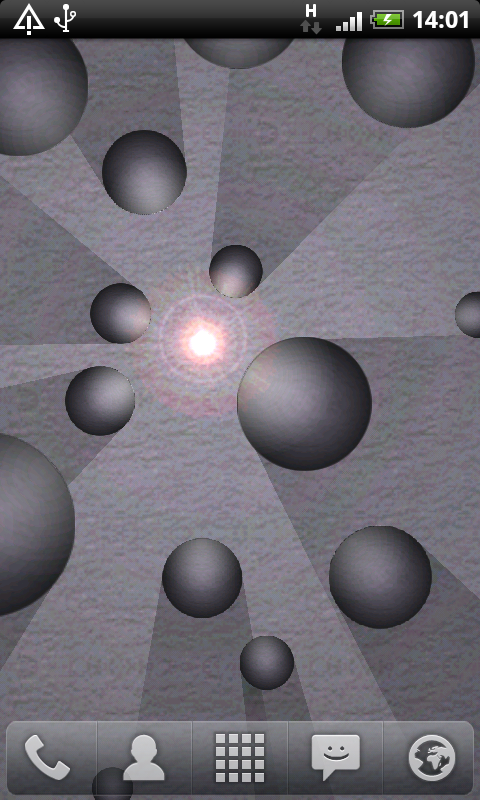 Shadow Balls Live Wallpaper shows a moving light sparkle that illuminates some spheres casting nice real time shadows. Works in portrait and landscape mode and supports multiple home screens. 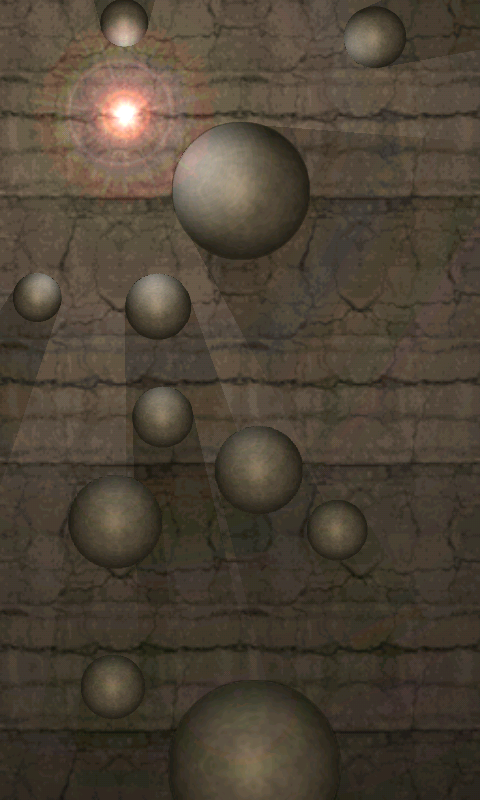 You can also download Shadow Balls Live Wallpaper from the Android Market on your phone. Search for com.mecasa.shadowballs. 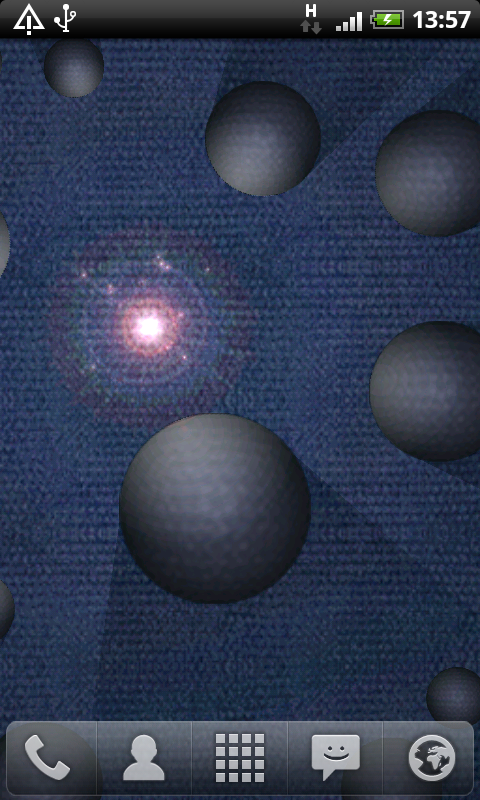 Color animated cells sliding across the screen. Optional Time/Date view. Time/Date can be static or scroll with the background. It's also possible to only have the time shown on the center screen. 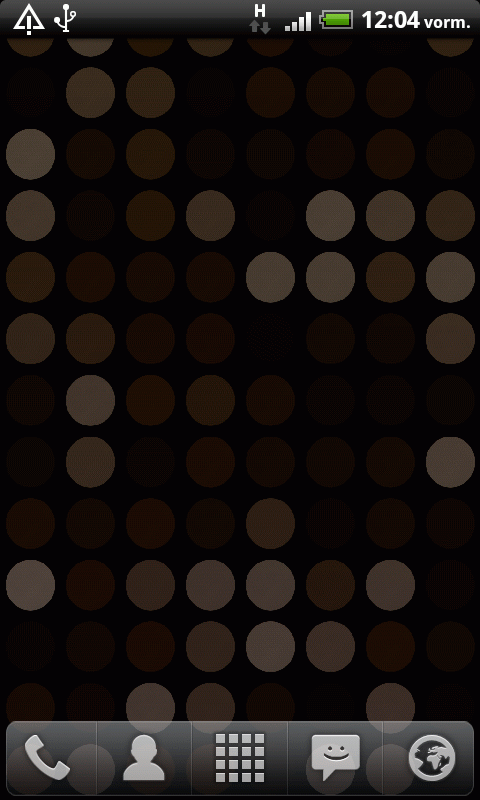 You can also download Grid Clock Live Wallpaper from the Android Market on your phone. Search for com.mecasa.gridclock. The perfect live wallpaper for Valentine's Day. 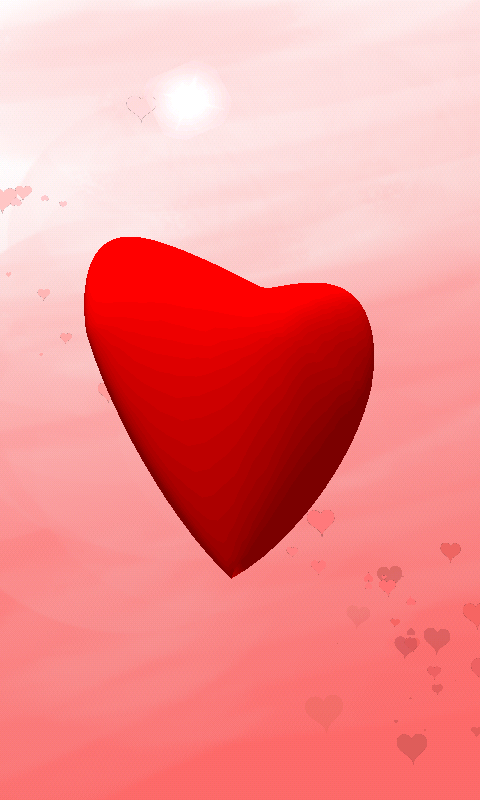 A rotating heart enhanced with a nice particle effect. Display quality can be configuted to take less CPU/battery power. 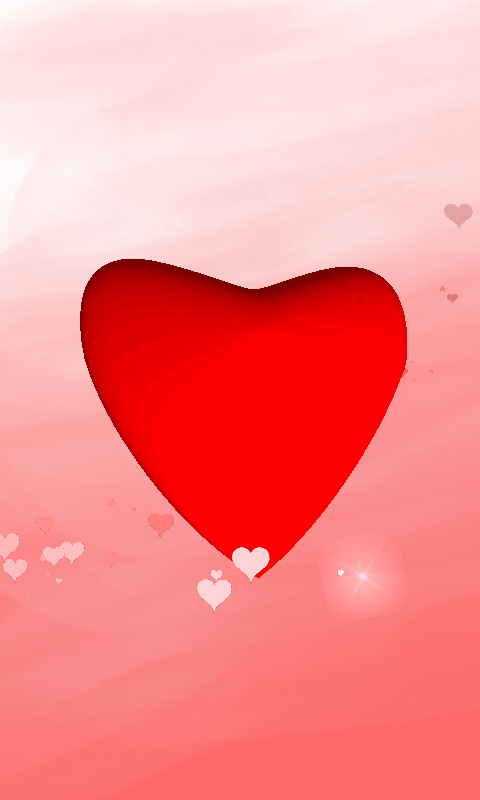 You can also download Sweet Valentine Live Wallpaper from the Android Market on your phone. Search for com.mecasa.valentine. 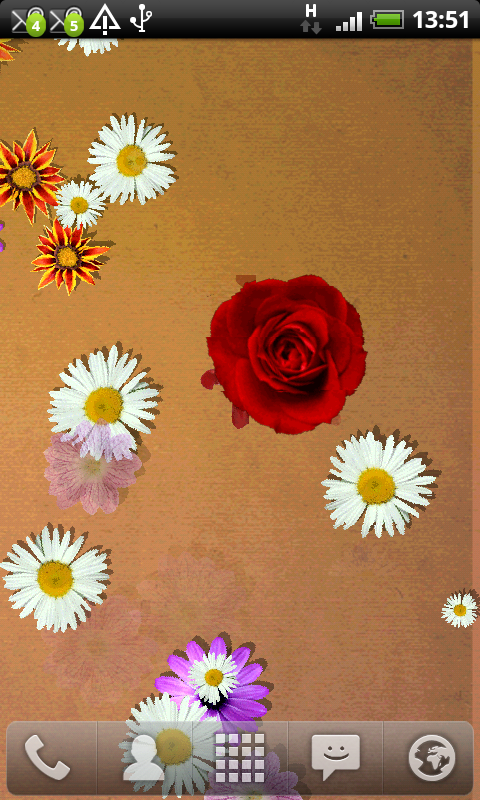 This beautiful live wallpaper is perfect if you love flowers and nature. Especially for Valentine's Day this Live Wallpaper will make you Android phone look prettier than ever before. 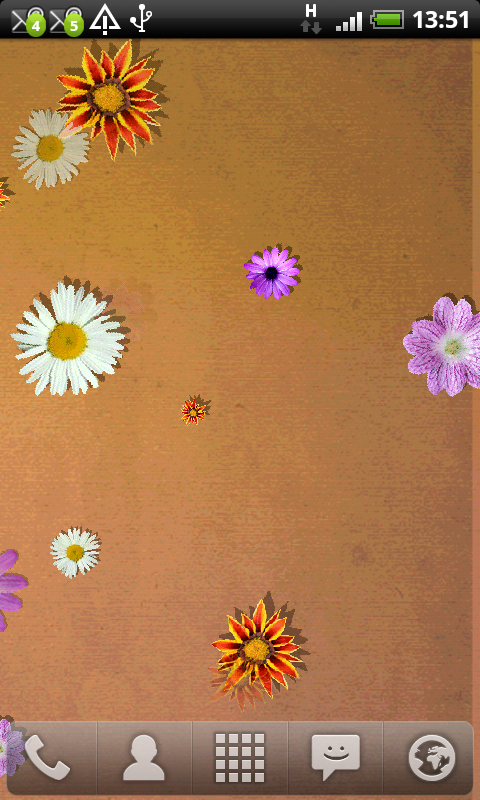 Various types of blossoms show up nicely animated over a configurable background. If you touch the screen a beatiful rose emerges. 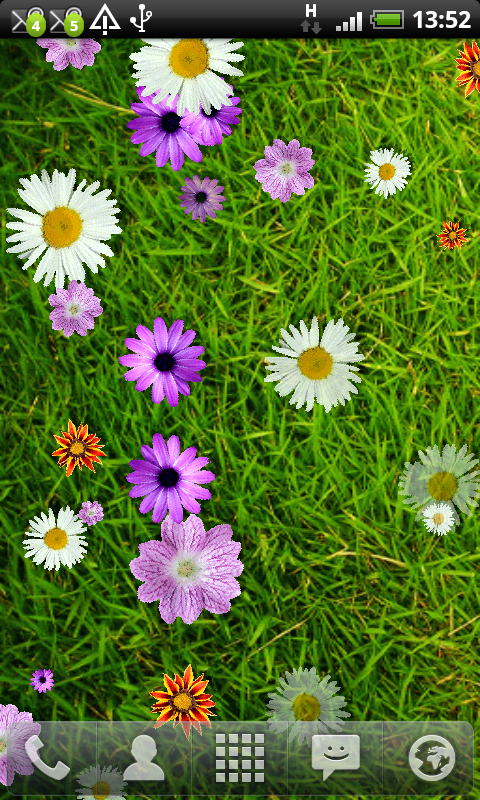 You can also download Wild Flowers Live Wallpaper from the Android Market on your phone. Search for com.mecasa.wildflowers. A Live Wallpaper especially for the holiday season. 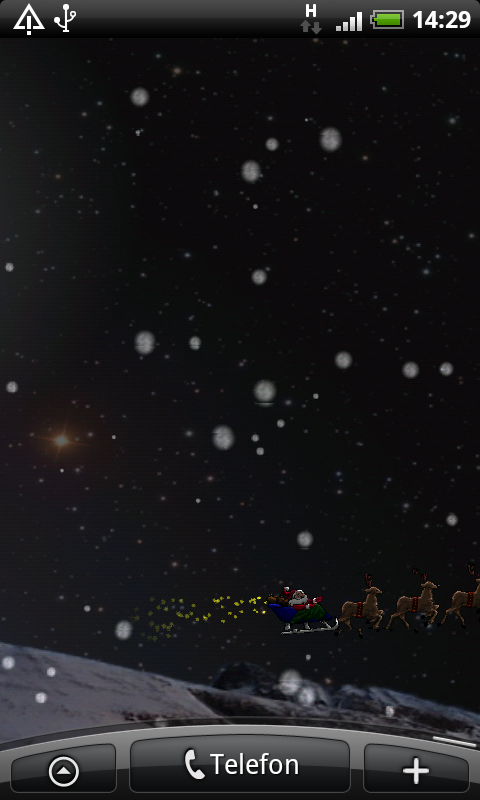 Watch Santa riding his sleigh in a beautiful night sky. 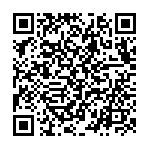 X-Mas has never been nicer on your Android phone. 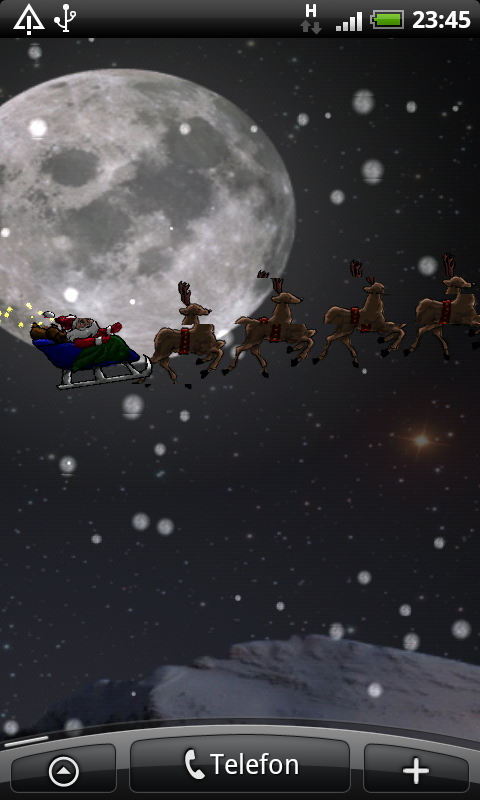 You can also download Flying Santa Live Wallpaper from the Android Market on your phone. Search for com.mecasa.flyingsanta. 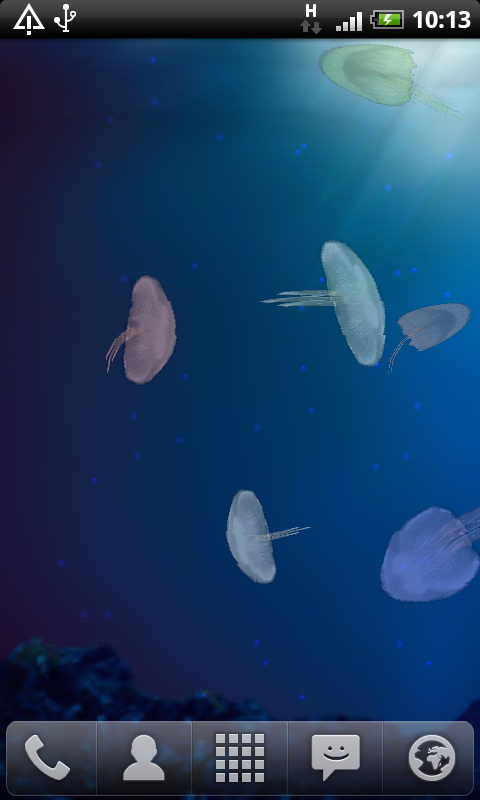 This gorgous live wallpaper shows a flock of jellyfish swimming around in the ocean. If you touch a jellyfish it will blink and jellyfish nearby will accelerate. 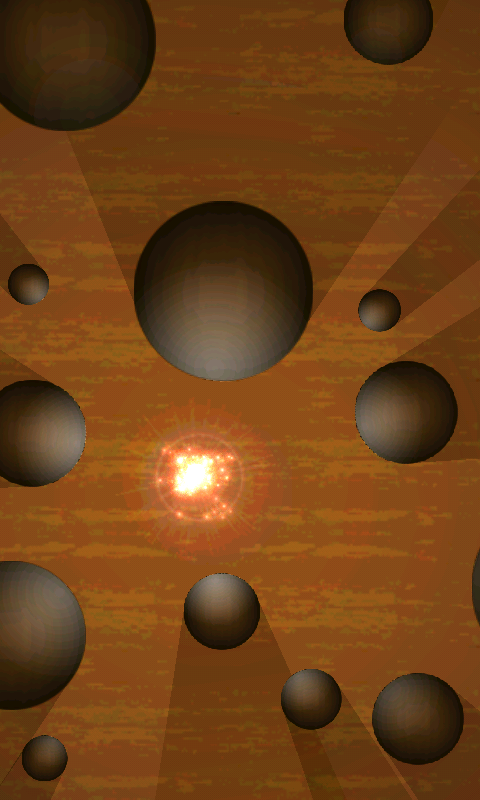 There's also some nice particle effects when touching the screen. The number of jellyfish can be configured. 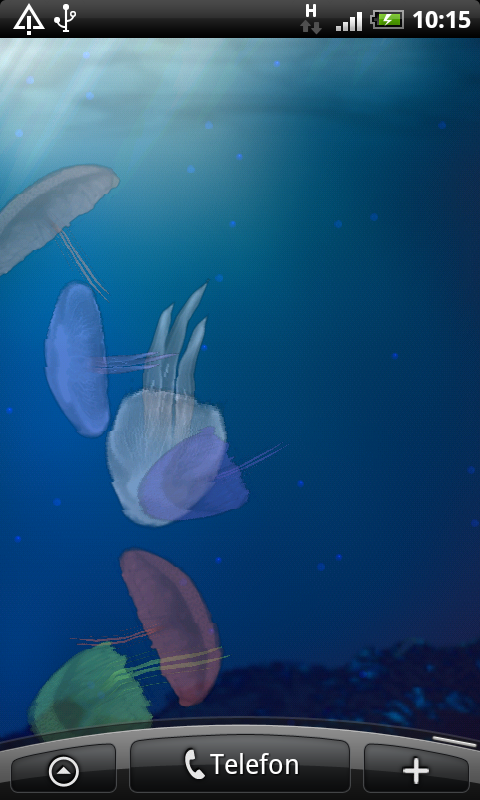 You can also download Jellyfish Live Wallpaper from the Android Market on your phone. Search for com.mecasa.jellyfish.